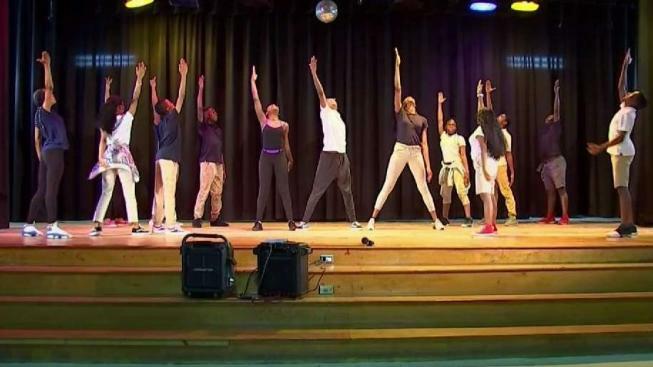 NBC 6's Ari Odzer profiles Norland Middle School's championship theatre performers. When you win the middle school state drama championship, a funny thing happens. They send you off to strut your stuff at the high school state competition in Tampa. Norland Middle School is on its way. “It gives ‘em a great boost, and that’s what the arts in education does, right, it’s for confidence-building,” said Tanisha Cidel, the director of Norland Middle’s magnet drama program. Cidel has had star pupils come through her program, but this is the first time her students have won the overall state championship. Former Norland Middle students Alex Hibbert and Jaden Piner were in the Oscar-winning film, Moonlight. Hibbert also had a small part in Black Panther and is currently starring in The Chi on Showtime. Piner is in a new movie called Boo! Hibbert and Piner are currently in high school. Now Cidel has another one of her former students, Khadijah Rolle, working with her, coaching the kids at her alma mater. “Just being able to see them from the beginning until now, being able to commit to something and showing them that hard work does actually pay off is something that I really wanted them to see,” Rolle said, explaining how rewarding it was for everyone involved when they won the state title. “This program really inspires me, you know, ‘cause I want to be an actor when I grow up,” said 8th grader John Ray. As talented as these kids are, the odds are really against any of them becoming Broadway stars or movie stars, but that’s not the point, there are other benefits to being in a program like this. “It helps them academically, it helps them with their comprehension, we break down scripts, all kinds of things,” Cidel said. “It’s not just on stage, it’s real-life things, too, like learning how to have discipline, learning when to speak and when not to speak,” explained Onyekachi Anyagaligbo, an 8th grader in the program. “And we trick them into coming to school, it’s a trick, you know they don’t come to school for math and reading, they actually come to school to be a part of something that they love,” Cidel added. They certainly love the stage. Acting and performing is teamwork and individual expression, all wrapped together.